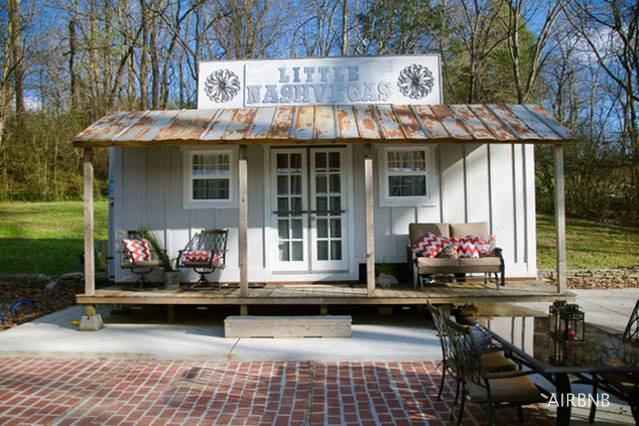 Check out this cute saloon-style tiny house in Nashville, Tennessee! 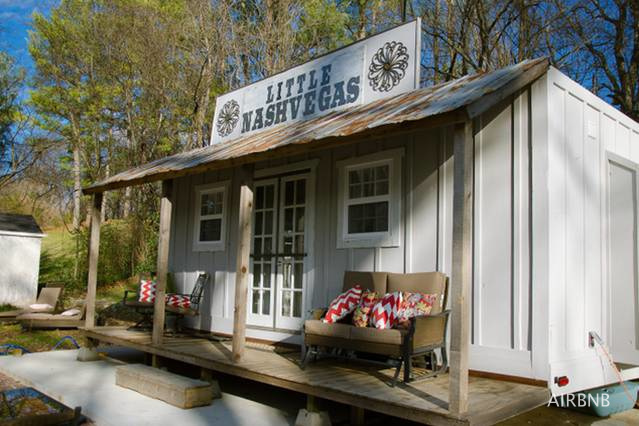 Nicknamed "Little NashVegas", the home was formerly offered as a rentable retreat on Airbnb. 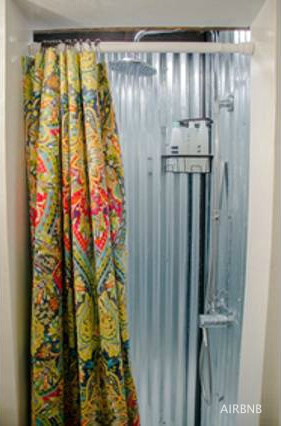 The home's rustic interior features a queen-sized bed, a bathroom, and living room space. 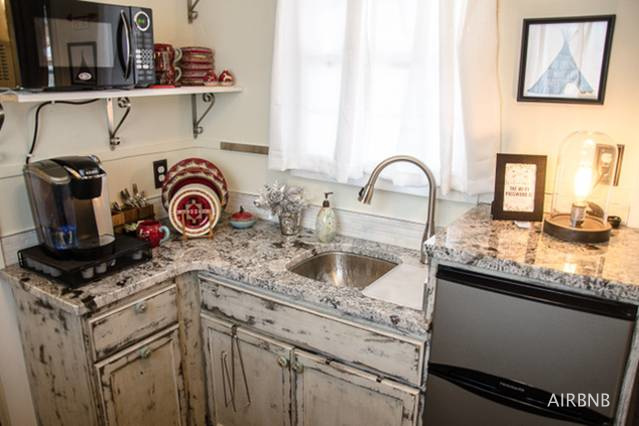 There's also a kitchenette available with a fridge, microwave, a Keurig, and dining for two. 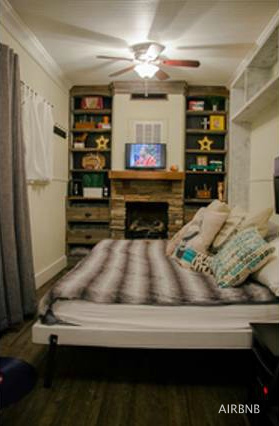 There's even a cozy little fireplace in the bedroom! 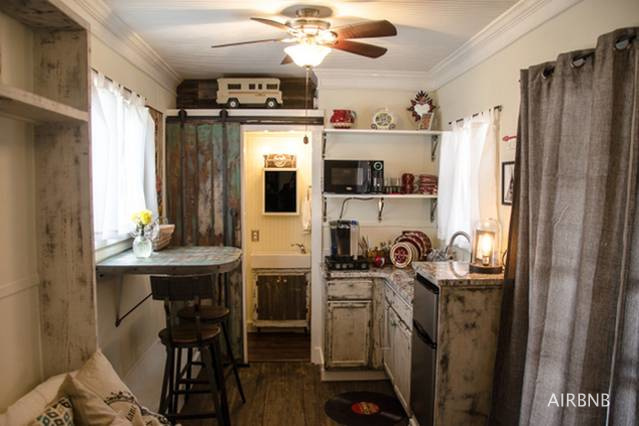 All in all, a really unique tiny home! 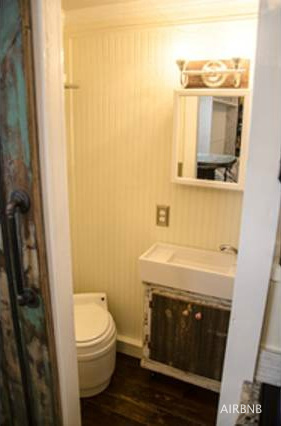 A shame it's no longer available.